This image was shot in the Sahara in Algeria. 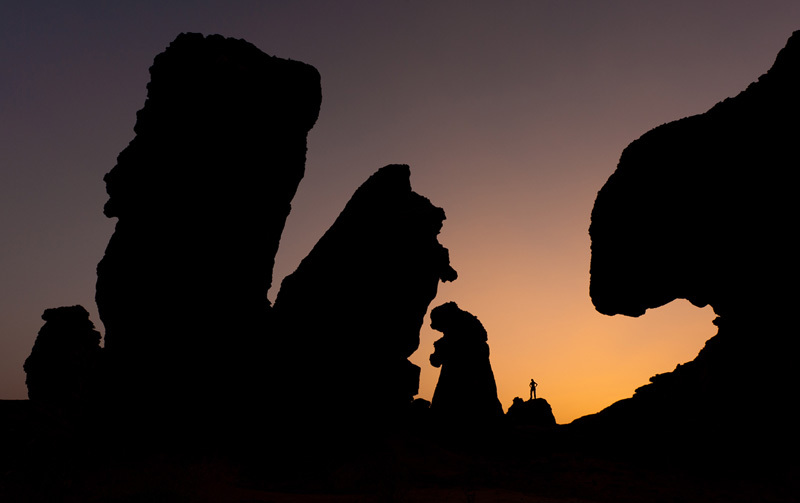 Bizarre rock structures are towering over a small figure like nocturnal giants. Shot about an hour after sunset. This image is part of a series of four images called Dwarfed, which won me First Prize in the International Photography Awards (IPA).